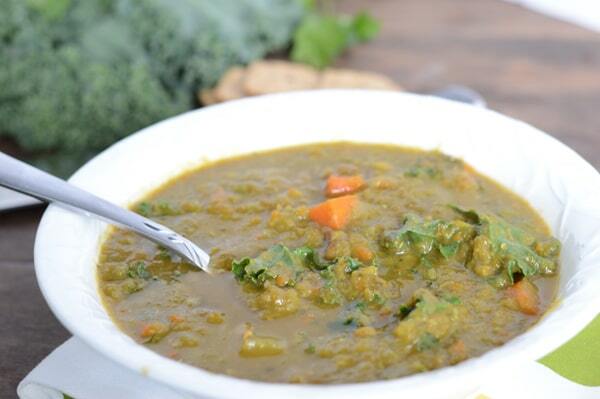 A Mediterranean kale detox soup, the ever popular Egyptian Lentil soup got even better with this twist. So, you probably wanna start the year with good behavior!!. After indulging in so many cookies and desserts this holiday season, it is time for healthy eating and may be some detoxifying. 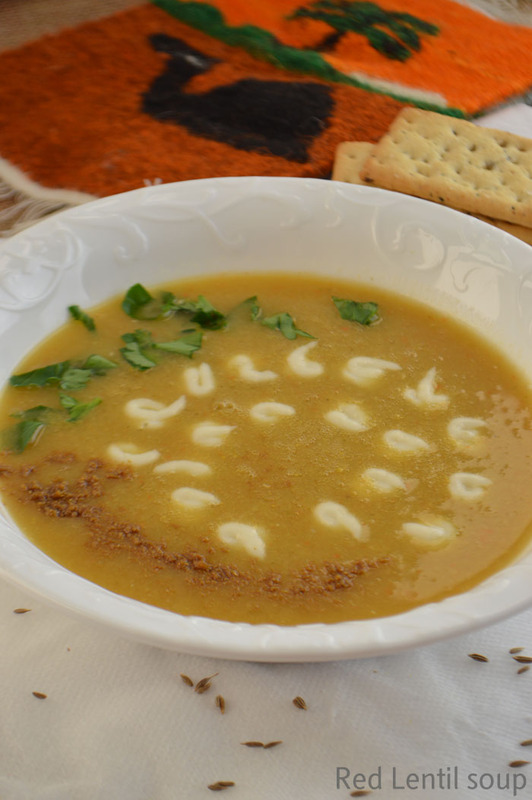 This is a twist to the original Egyptian red lentil soup that I grew up gulping, specially in the cold months of winter. After a serious debate between me and myself , we both reached a verdict. To sugar or not to sugar? Well, I think we need to let loose and enjoy time spent and food eaten with our family and friends. Simply consume everything in moderation. 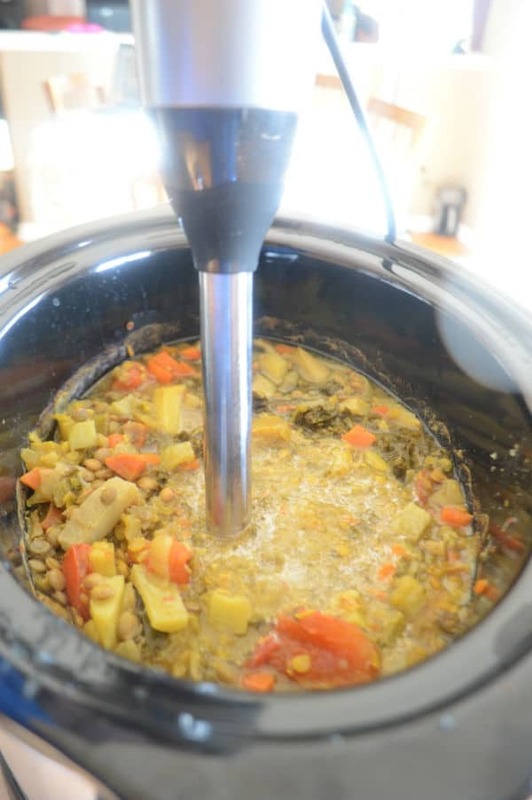 So this easy slow cooker version of the lentil soup is not only detoxifying, but also filling, delicious, fully packed with nutrients and the best part is that it only takes 30 minutes or less of your time, which is basically the time needed to peel and chop the vegetables. And kale, I’ve had hard time to accept this earthy wonderful leafy green but I am getting better. 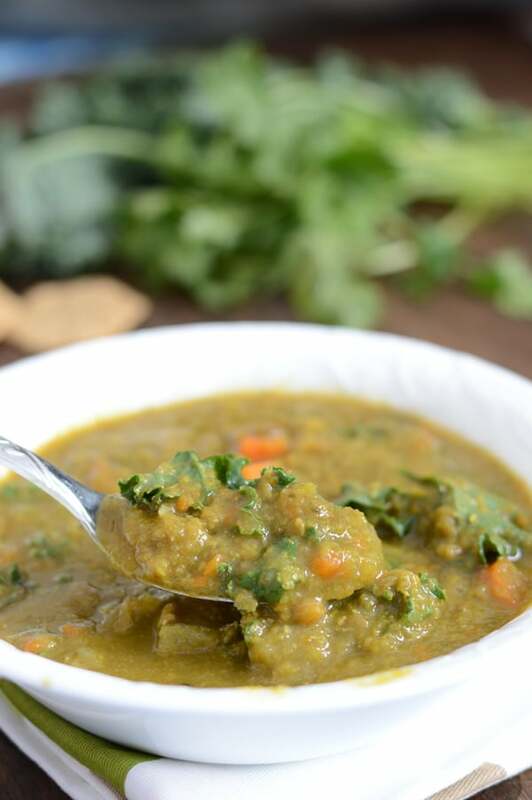 So if you are like what I used to be, you may want to fully cook and fully blend this soup so you’ll not have to chew on the leaves. 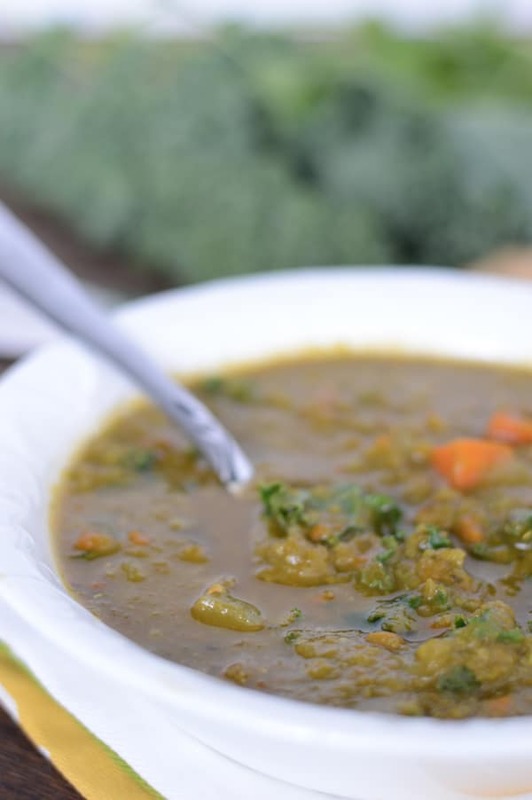 This soup has so many detoxifying agents. We’ll start with two types of lentils green and red. Then topping that with some awesomeness coming from carrots, tomato, onions, garlic, artichokes, potato. Adding to those some spices like cumin and turmeric then finishing this whole thing up- in my plate- with a touch of cayenne, mmm so delicious. It is so easy to make but it requires a bit of front-end chopping to prep the veggies and that’s it. Did I lure you enough? I hope so. Have a good week ahead lovlies . 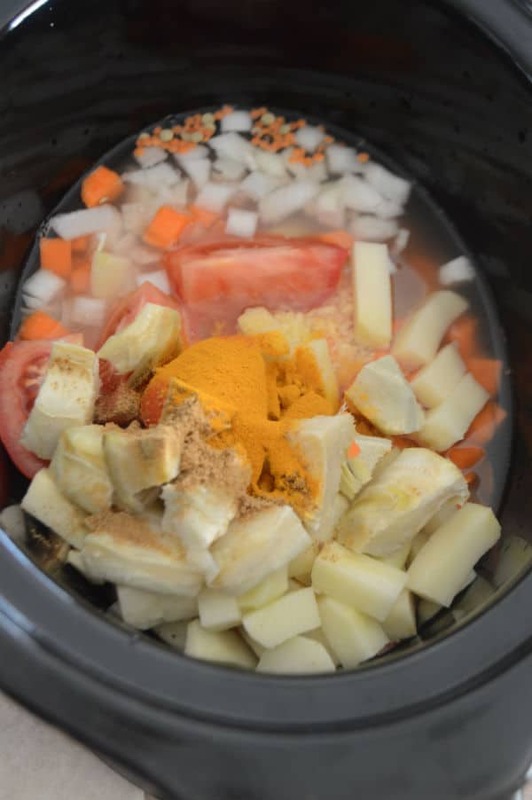 1 1/2 cups carrots peeled and cubed. 6 cups vegetable or chicken broth. 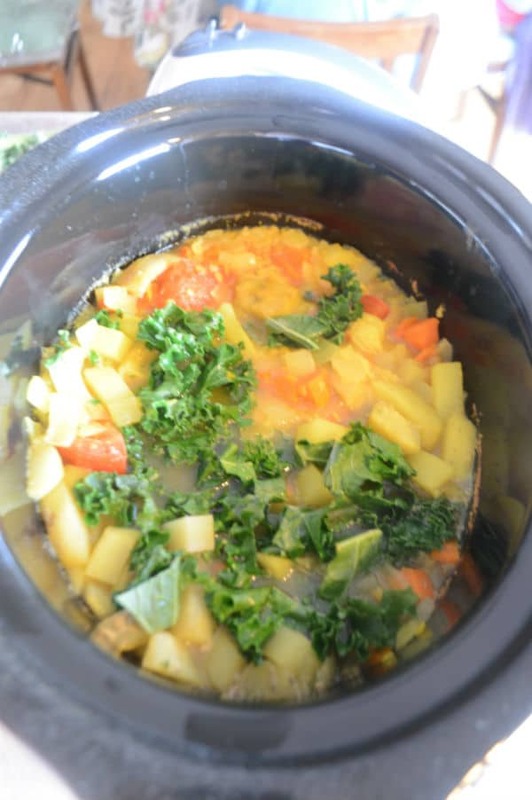 Put everything except kale and cilantro in the slow cooker. Before the end of the cooking, add chopped kale and cilantro. Let it continue cooking for another 30 minutes to an hour depending on how you like the kale. Serving suggestions: served with garlic bread or some crackers. * You can use the ordinary juice blender, pulse until you reach the consistency you like, I like mine a little lumpy. ** I added cayenne pepper to my plate for more detoxifying . Need more soup? 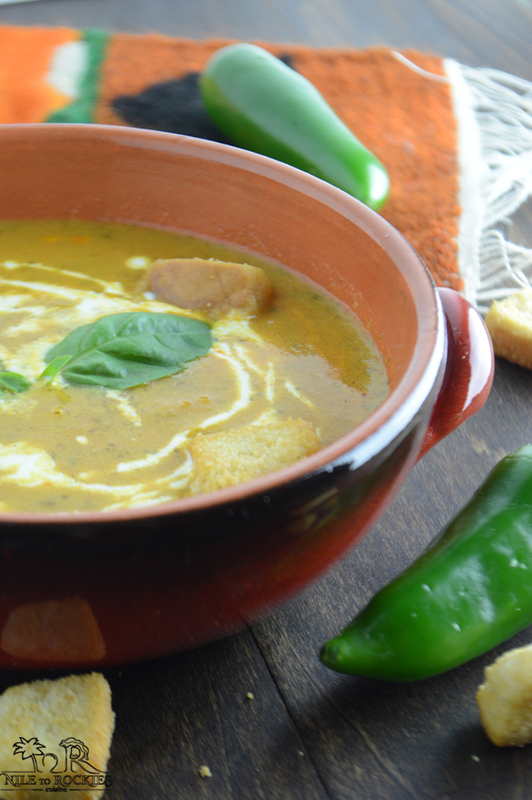 Warm yourself up with these soups. 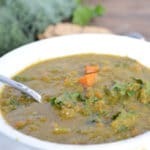 I am looking for a lentil soup recipe that is green, not pureed, has a VERY distinct taste of CUMIN. What else is in it I don’t know, I’ve had it in a Middle Eastern Restaurant, it was garnished with sliced lemons… It was WONDERFUL. Any idea? Kris, thank you for your nice comment. Many of my recent videos are bilingual and I am working on translating the rest. 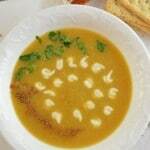 About the soup you are asking about do you think it might be this one https://amiraspantry.com/ads-b-gebba/. I might dig deeper if you have any more information about it.